Rooms with plush furnishings offering fine hospitality. 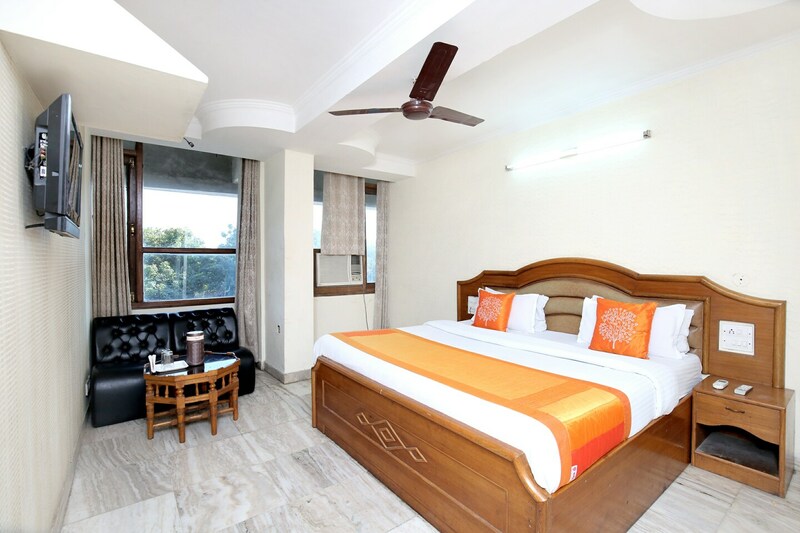 Located in Chandigarh, Hotel M&V is a piece of property that offers comfortable rooms at reasonable prices. The rooms are well-furnished and well-lit. Large windows in each room enable the guests to enjoy some bright sunlight. The rooms have been decorated in a minimalist manner which enhances the overall homely feeling. The admirable piece of furniture in every room in the plush sofa set and the glass center table. A lot of woodwork is that involved in the interior decor. The additional features provided by the hotel are free Wi-Fi, parking provisions, an uninterrupted power backup source, laundry provisions, card payment in all forms and CCTV cameras. The front desk service has been decorated elegantly and is located close to the entrance.